After many years of learning while doing, constantly striving to project living solutions, building furniture and rethinking rooms, Takeshi has gathered his experience and seeks to focus it in objects that can be reproduced or mass produced. The more he does the more he finds the things and details that are not to be neglected, the qualities that are to be respected and the ways to achieve it. There is in every new design the strive to achieve the simplicity and magic of the old wooden toys (like the mexican tablita magica). While and after his studies of Architecture in the National University of Mexico, Takeshi has the opportunity to live in Paris and Berlin, working in different Architecture offices, the experience is highly enriching but still, the more time he spends sitting in front of a computer the more he finds there is something that is hiddenly asking to get up and get things done with his own hands! What by then starts as a parallel interest grows and defines to be Tak’s dimension of dealing with space – his functional objects and furniture. lautak atelier is based in the beautiful countryside of Montespertoli, in the province of Florence. Where there is lots of space, many trees, some hens and deep old woods. Takeshi is doing something (working, packing, moving, cooking…) things are not ideal, some extra function of an ally object may come handy! 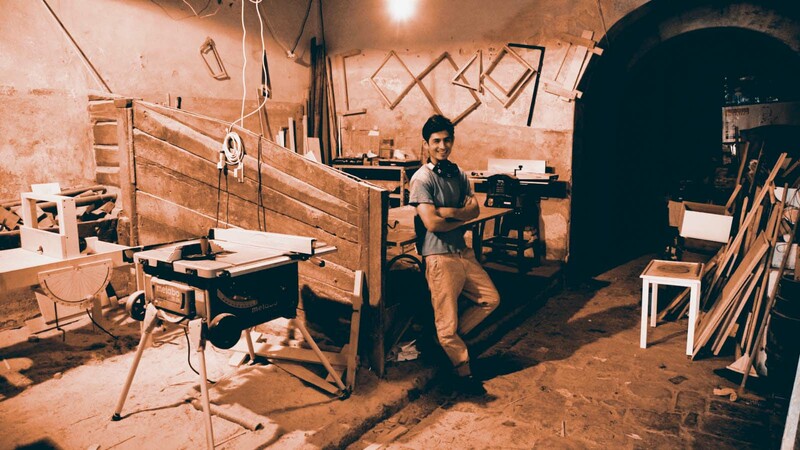 Hand drawings, paper models, mechanism scale models, wood prototypes, CAD drawings & coffee maker come at hand, Tak’s atelier is furnished with the most varied tools to help him study what could be done. In the long process of defining an object Tak seeks to balance simplicity of use (so things are actually handy) and simplicity of fabrication (therefore economy + purity) and this process is nurtured by the quest for beauty… it all starts with a function but it must end with a form. lautak object’s are studied to be produced with the help of today’s automated technologies while keeping a high degree of handcraft manufacture. 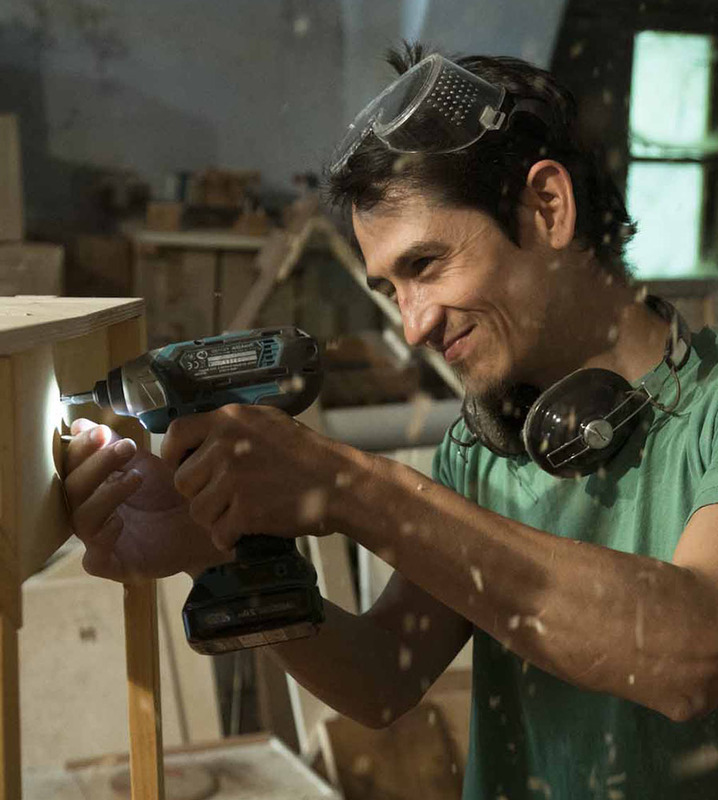 The production combines the workforce of local (italian) woodworking carpentries + the direct work of lautak team.